Sure, it may look like Daniel Craig is modeling an attractive new turtleneck for a high-end fashion line, but… actually, given James Bond’s merchandising synergy, that’s probably exactly what’s happening here. 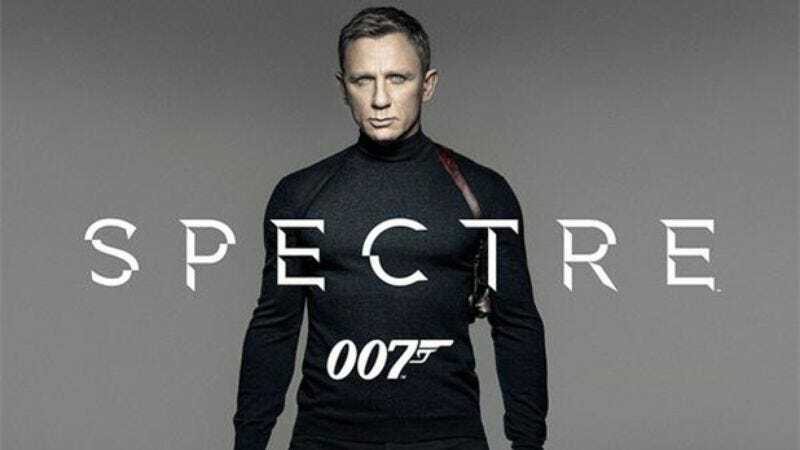 Nonetheless, the above photo has been released as a poster for the upcoming 24th Bond film, Spectre. And much like in the first official images from the film that we recently covered as part of a behind-the-scenes tease, Bond looks like he’s spurning his traditional tuxedo for a more relaxed spy look. Finally, the British MI6 secret agent who is equally at home killing anonymous goons or playing a killer game of Pictionary on board game night.